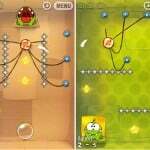 Review: Cut The Rope - A Cut Above The Rest? A snip here, a little swipe there is all you need to do, to free the candy, and feed it to Om Nom. The little mysterious creature Om Nom arrives in a box on your doorstep, and you just have to figure out the physics puzzles to make him happy with candy. 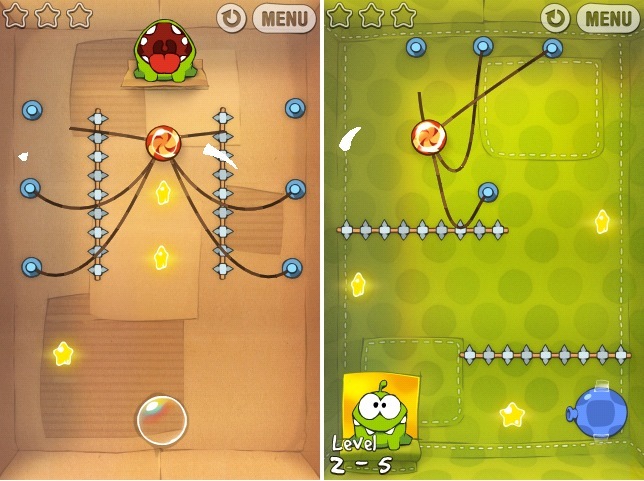 Cut The Rope uses the cutting mechanic popularized by Fruit Ninja, but applies it to a whole new puzzle concept. In each of the 100 levels there are three stars to pick up before delivering the candy to Om Nom. There are four types of boxes with each one introducing new puzzle elements like bubbles, spikes, spiders, and more. 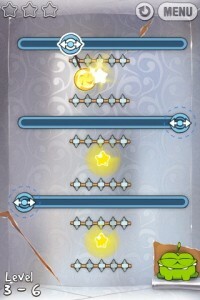 The game includes Crystal for online high scores and achievements and incorporates GameCenter as well. 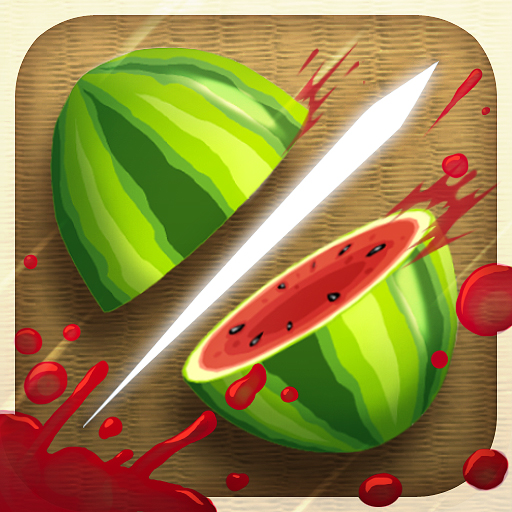 The game takes an extremely simple mechanic, and builds a whole new game from the ground up. In every level the candy starts in a particular spot attached to at least one rope. You’ll need to cut the ropes at just the right time to send the candy through the box to where Om Nom sits. For each level timing is everything as you need to cut the ropes at just the right moment to swing the candy through the level picking up all the stars. Every single level plays differently from the amount of ropes, the placement of the stars, and most importantly all the new and different puzzle elements you encounter. Once you begin the first level you’ll just keep going because it’s so much fun, and there’s no reason to put it back down. 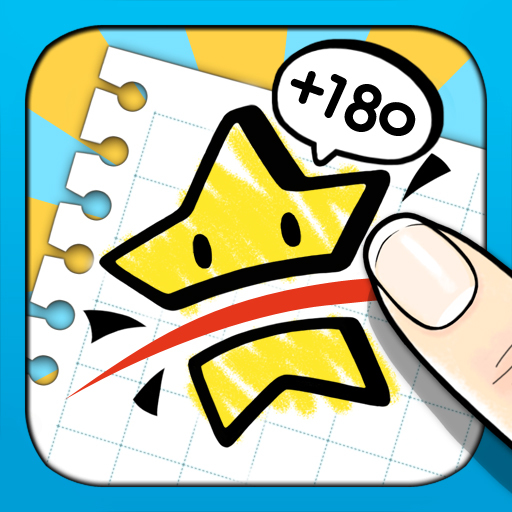 The best aspect is that you don’t feel like you’ve beaten a level until you get three stars on each one so there is tons of replayability on top of just making it through 100 levels. 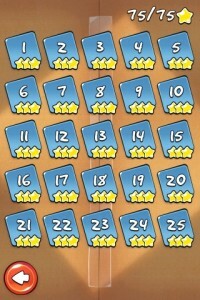 Then there is Crystal and GameCenter support with multiple achievements, and online high score tables. 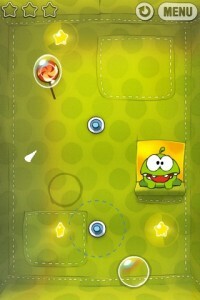 The game has vibrant artwork that it definitely on the cute side from Om Nom to the layered box backgrounds. It’s a great feeling when you figure a level out, and then you get to see the swipe, the flow of the candy moving through the obstacles while collecting the stars, and landing in Om Nom’s mouth in one fluid motion. There is a fun loving soundtrack that fits in well with the puzzle and cute theme. Any of the tedious or frustrating nature of puzzle games from the past isn’t found in Cut The Rope. It’s all fun all the time you’re playing it, as even when you fail you start it right back again anxiously trying to figure it out. You know a game is good, when the bad section is hard to fill out. 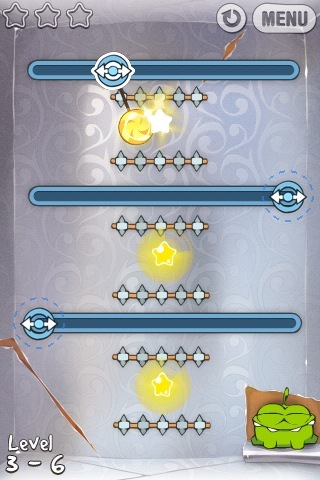 Cut The Rope really doesn’t have any problems except when you finally do get through it all you want to play more. 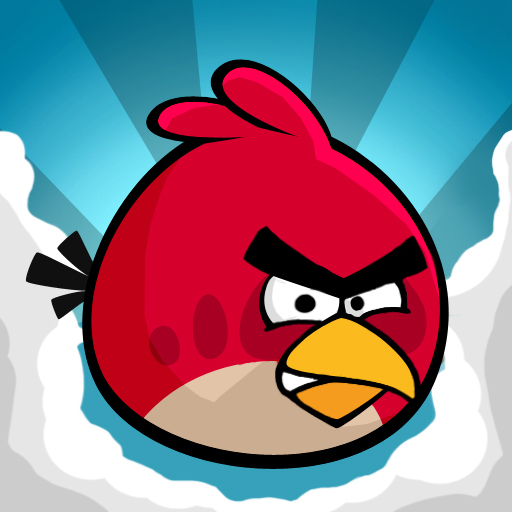 That will take quite an effort, and a long time, and more levels should be coming the way Angry Birds has done it. 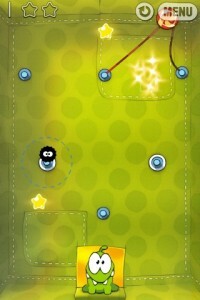 Cut The Rope is one of the best puzzle games out there that is more fun than anything. The game is amazingly simple and yet becomes quite complex as all the new elements are introduced, but the fun loving nature is never lost for one second. It’s exceptionally designed in every regard with virtually no problems. For only $0.99 Cut The Rope is a must buy so much so that anyone who wants to have fun on their iDevice can’t pass it up.